After our success with churros, I ended up having leftover chocolate dip. How that happened, I have no idea but I what I knew, was that it will be used in something. The whole Sunday, after Cinco de Mayo, I was brain-storming what I could do to use this delicious dip. Enter Pioneer Woman. Well, not in person of course. Because if she did, I would faint and there would be no fiesta but the ER for me. Now, I trust Ree when she says it’s “the best chocolate cake ever”. But because it was a holiday, and because I like to challenge myself, I wanted to jazz it up a bit. I halved the ingredients to make an 8″ x 8″ cake, and not a sheet cake on purpose. I wanted to infuse the cake with my mocha dulce de leche. I am evil like that! Bwuahahahaha! This cake was named by my oldest daughter. She is a genius by the way. And Mocha Dulce de Leche Chocolate Cake with Mexican Chocolate Ganache is a mouth-full. So here you have it: chocolate cake, infused with mocha dulce de leche and topped with Mexican chocolate ganache. Fiesta in your mouth, baby! In a large mixing bowl, whisk together flour, sugar and salt. Set aside. In a medium saucepan, melt butter and add cocoa. Whisk until combined. Add boiling water and cook it all for about 30 seconds. Pour the chocolate mixture over your dry ingredients and fold it in with wooden spoon or spatula. In a small mixing bowl, combine buttermilk or sour milk, egg, soda and vanilla. Add it to your chocolate mixture. Stir it in until all is smooth and combined. Bake 30 – 35 minutes, or until the toothpick inserted in the center of the cake comes out clean. Refrigerate for 1 hr, until thicker. Pour over warm cake. It will thicken up as you let the cake cool. While the cake is still warm, poke the top with a toothpick. You need holes to infuse the cake with dulce de leche. Pour the mocha dulce de leche over the cake, spreading gently with spatula. Pour the chocolate ganache over the top. It will melt but that is ok. It will thicken up again while the cake cools. Cool the cake completely. If you can wait that is! I cut out a piece after just few minutes. Are you surprised? 🙂 The cake was tricky to cut, because the toppings were not set yet, but the warm cake with dulce de leche and the ganache was so incredibly good!! Still, wait until it cools or you will burn your mouth. If you don’t have buttermilk on hand, pour 1/4 cup of milk into a measuring cup and take away 1 teaspoon. Now, replace that teaspoon of milk with a teaspoon of vinegar or lemon juice. Stir. Let sit for a couple of minutes and you have sour milk you can use in place of buttermilk. I do it all the time and it always works. Always. This cake looks awesome and moist. Your daughter did an awesome job naming it. Wow, Anna, this cake looks incredible! 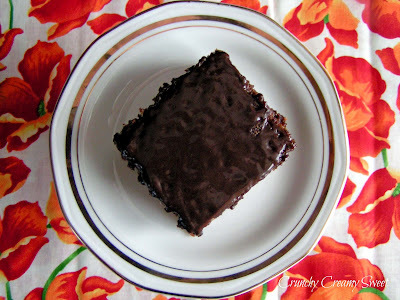 I've been on a chocolate kick lately, and i'm adding this to my list of things to make. I can't wait to try it! So many awesome flavors. I come to your fiesta! This looks so delightful, I love what you've done with this. I can't wait to try it. I didn't have any dessert for Cinco, but I have to say if I had read this post sooner I might have been inclined to have this. What a delicious looking cake! It was gone in a flash! 🙂 Thank you, Amy! 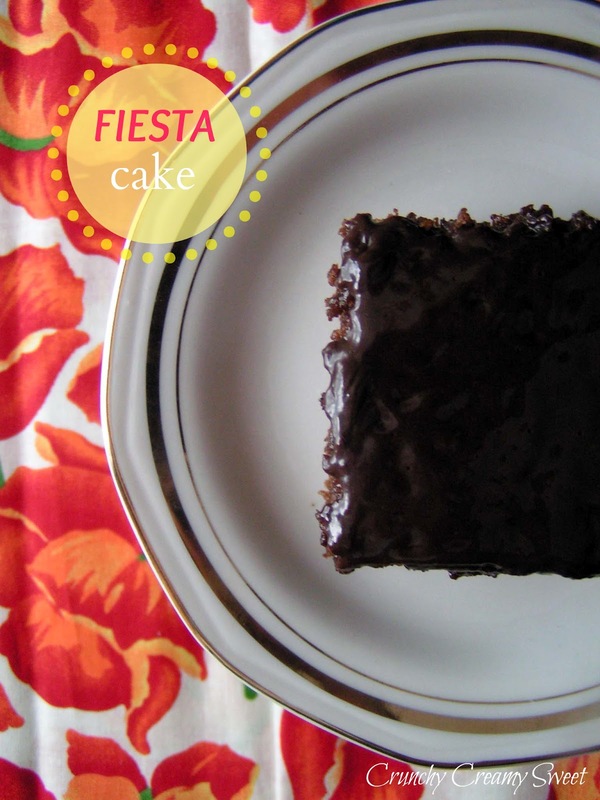 This cake sounds pretty amazing and fiesta worthy! Way to jazz it up…i bet it didn't last long :)! 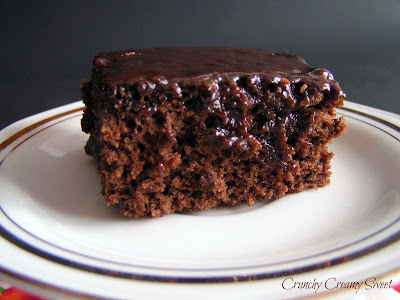 This cake looks so yum… I love how the chocolate icing is being absorbed by the cake. Plus, buttermilk always makes things taste better:) Thanks for sharing. oh wow that looks like a seriously amazing chocolate cake! It really was 🙂 Thank you, Jenn! This could be heaven in your mouth! Looks delish 😉 Now following your yummy blog! Thank you so much and welcome to CCS, Audra! Ok well this cake is dangerous!!!! LOVE IT. I think you just made her recipe better! Thank you so much, Leanne! That means a lot! Lol 🙂 Thank you so much, Ramona! 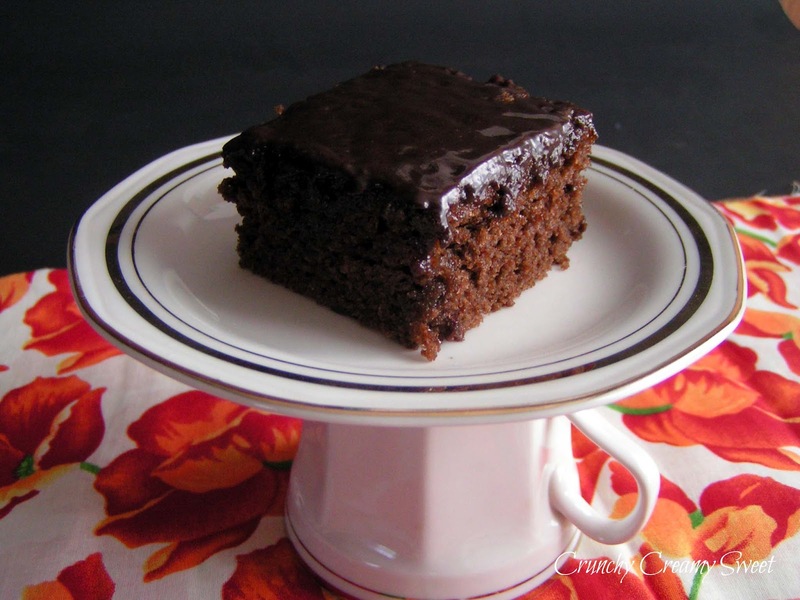 A rich and decadent cake! That is one great looking cake. The moist, yummy, gooey topping…be still my heart! I wish I could serve you up a piece, Kristina! I know you would love it 🙂 Thank you, sweetie! This is festive. We had chocolate mug cakes with pecans and almonds when we celebrated Cinco de Mayo. I love the super rich color of this cake. A must try for a chocoholic like me. That would be sweet indeed! 🙂 Thank you, my friend! Like I said: she is a genius! 🙂 Thank you so much, Sarah! I've made Ree's fabulous cake before, but you just made it even better!!! What an incredible idea! You rock, my friend!!! Awww, thank you, Lizzy! That means so much! Oh my gosh Anna. This had me cursing out loud when I saw it. Apparently gorgeous cake brings out the sailor in me. Lol And your comment made me laugh! 🙂 Thank you, Kim! Ree might have THOUGHT her version was the best chocolate cake ever… but I can tell from your photos how ridiculously moist and awesome this cake must have been. Bookmarking this one for later! Yay! I am so glad you liket it, Carrie! Thank you! Looks delicious sweetie! Please pass a piece over here! Will do! 🙂 Thank you, Serena! I knew you would make something delicious with that Mocha Dulce de Leche! Now I am wishing I had this for my birthday cake. Not big and fancy but really big on flavor-yum! Well done! Oh. My. Goodness. This sounds amazing!! My mouth is watering. . . Thank you 🙂 Let me know if you make it!